Consider this your license to spice things up a bit: A new study from the journal Appetite found that putting red chili peppers on your food may help prevent you from eating too much. Scientists at Maastricht University in The Netherlands asked 15 people, average age 30, to undergo four different 36-hour test sessions. In the first session, they ate a normal day’s worth of calories from a breakfast drink, a pate, and some tomato juice. In the second session, they ate those same foods, but spiced up— the a.m. shake had red pepper concentrate, and the pate and the tomato juice had actual red chili peppers on them. The amount of red chili peppers added up to about 1.03 grams per meal. In the last two sessions, the participants ate the same foods (one time spiced and one not), but this go-round, they ate less of them—only 75 percent of the calories both times. After each session, participants were given an unlimited amount of pizza with red chili peppers to eat. They were also told to record their fullness levels. So, what happened? Participants ate 30 percent less pizza after they had consumed a normal day’s worth of “spicy” calories than when they hadn’t eaten any of the spice—and they also reported feeling fuller overall. The effect was not significant, however, in the 75 percent group. Researchers say that chili peppers may help you prevent overeating due to their “high pungency,” but only if you’re taking in a normal amount of calories to begin with. In other words, since the peppers are so spicy, you tend to savor the flavor more, which helps you to slow down and eat less overall. 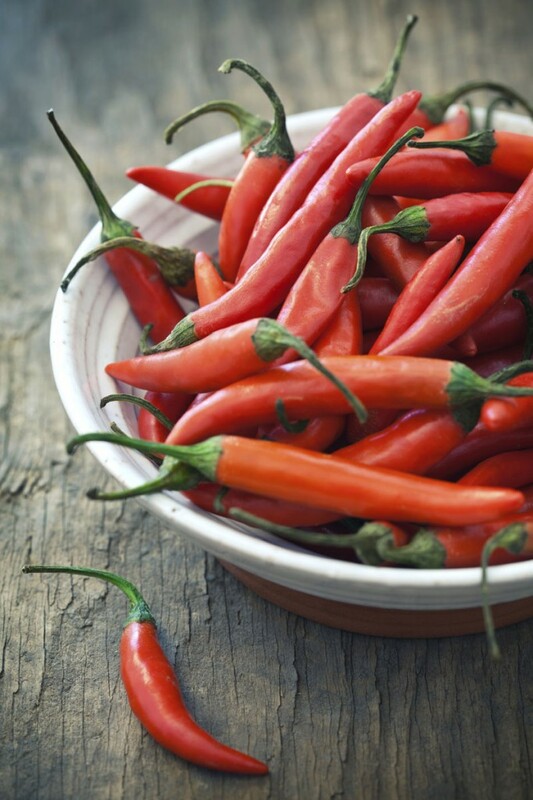 To get the effect, sprinkle crushed red pepper onto your dinner—it may just help keep you from going overboard. And if you don’t like spicy foods, check out these other ways to prevent overeating. *This story was originally published on WomensHealth.com.